The T20I World Champions had a disastrous tour so far as they have suffered heavy defeats at the hands of New Zealand in both the Test (0-2) and the One-Day International (0-3) series. 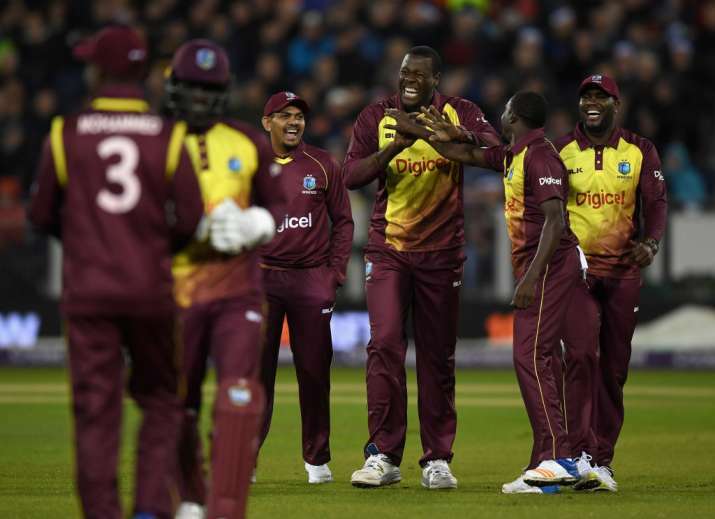 After staying winless in the Test and One-Day International (ODI) series, the West Indies will aim to bounce back in the first Twenty20 International (T20I) against New Zealand at the Saxton Oval in Nelson on Friday. The T20I World Champions earlier suffered heavy defeats at the hands of New Zealand in both the Test (0-2) and the One-Day International (0-3) series. The concern, however for the visitors will be some key players missing in the squad - spinner Sunil Narine and hard-hitting batsman Kieron Pollard have skipped the tour citing personal reasons while all-rounder Marlon Samuels has been sidelined with an injury on his right hand and Alzarri Joseph is out with a back strain. Besides the missing players, pacer Ronsford Beaton, recently reported for a suspect action, is also out of contention, having picked up a side strain. Sheldon Cottrell, the left-arm pacer from Jamaica will replace him while Shimron Hetmyer comes in for Pollard. Chris Gayle, Carlos Brathwaite and Samuel Badree will have to play the key role in motivating the relatively inexperienced side, which includes Shai Hope, Ashley Nurse, Jerome Taylor, Chadwick Walton and Kesrick Williams. New Zealand has also decided to rest Kane Williamson for the first T20I, temporarily handing the leadership responsibilities to Tim Southee. Trent Boult, who tormented Windies in the ODIs, is also on a break, which will see him miss at least the first two matches. Colin de Granhomme, the all-rounder, is not available, having left the country to be with his family following the demise of his father. Martin Guptill is set to make a comeback though, having missed the ODIs because of a hamstring injury, and the hosts have got Ross Taylor back in the T20 setup after a hiatus of almost 21 months. Taylor, who is available to play only the first game, last turned out for New Zealand in 20-over cricket during their seven-wicket loss to England in the semifinals of the ICC World T20 2016 in India. New Zealand: Tim Southee (C), Ross Taylor, Colin Munro, Martin Guptill, Glenn Phillips (wk), Anaru Kitchen, Tom Bruce, Mitchell Santner, Lockie Ferguson, Doug Bracewell, Ish Sodhi, Matt Henry. West Indies: Carlos Brathwaite (C), Samuel Badree, Sheldon Cottrell, Rayad Emrit, Andre Fletcher (wk), Chris Gayle, Jason Mohammed, Ashley Nurse, Shimron Hetmyer, Rovman Powell, Shai Hope, Jerome Taylor, Chadwick Walton, Kesrick Williams.